The shape of a new paradigm was evident at the California Society of Anesthesiologists (CSA) 2019 Winter Anesthesia Conference, where Lumeon participated as an exhibitor from January 28 through Feb 1 in Maui, Hawaii. Anesthesiology is a practice at a crossroads. Outcome-based reimbursement models are spreading. Patient experience is king. Currently, most healthcare institutions don’t assign a single person to prepare, track, and monitor patients before, during, and after surgery. If healthcare organizations are to thrive under new models of care and reimbursement, this has to change. Accordingly, physician anesthesiologists are increasingly taking on that role of managing the patient pathway end-to-end, to add value throughout each patient’s surgical journey. 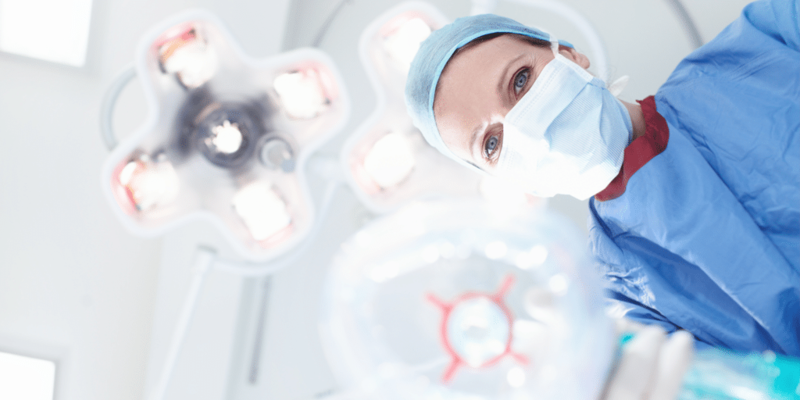 This new role may be a natural evolution for anesthesiologists, and conference participants were seriously considering the impacts and dynamics of this shift. Here are three key examples of how healthcare organizations are innovating to address this change. Care provided before and after surgery — perioperative care — is key to delivering better surgical outcomes more efficiently, said Dr. Aman Mahajan, director of perioperative services at the University of Pittsburgh. The design of the perioperative process has traditionally focused on optimizing the OR throughput. Outcomes can be improved by looking at the bigger picture — identifying high-risk patients, coordinating their preoperative care, and ‘prehabilitating’ to better prepare them for successful surgery and recovery. Dr. Mahajan emphasized that successful care pathway programs must start with one unit before scaling across an institution. Programs must also align with the health system priorities, create value for patients, engage all departmental and non-departmental stakeholders, and leverage technologies that improve the quality of care. Developing a comprehensive model for perioperative pain care improves quality, according to Dr. Padma Gulur, Duke University professor of anesthesiology and vice chair of operations and performance for Duke Anesthesiology. The optimal strategy is focused on minimizing the need for opioids. Duke uses a three-pronged strategy combining psychological optimization (cognitive behavioral therapy, relaxation response, and music therapy), medical optimization (evidence to support opioid wean and enhance multimodal approach), and physical optimization (prehabilitation and nutrition). By reducing opioid use both before and after surgery, these programs have been able to cut the 30-day and 90-day readmission rates in half. Information from Anesthesia Information Management Systems (AIMS) or electronic health records (EHR) data can be used to monitor process, quality, and outcome goals. Automation can then be introduced to improve safety and outcomes, said Dr. Warren Sandberg, professor, and chair of the department of anesthesiology at Vanderbilt University School of Medicine. An ideal process-control system is able to auto-detect an error and then auto-correct it. An alarm alerts the anesthesiologist when manual intervention is needed. This process results in the development of a pathway that senses information and triggers business rules based on pre-defined logic — it operates in real time and helps reduce variance and ensure compliance. The ultimate vision is a two-way ‘dialog’ between a clinician and a sophisticated decision-support system, which could be further enhanced by managerial and outcomes monitoring to complete the patient journey and pathway. With thinking like this at the forefront of this field, anesthesiology is poised to improve care in robust and life-changing ways. At CSA Hawaii we had so many interesting discussions on the initiatives anesthesiologists are undertaking to extend their value-add across the care pathway. We’re certainly looking forward to learning more when we attend the next CSA meeting in San Diego in March. Hope to see you there.